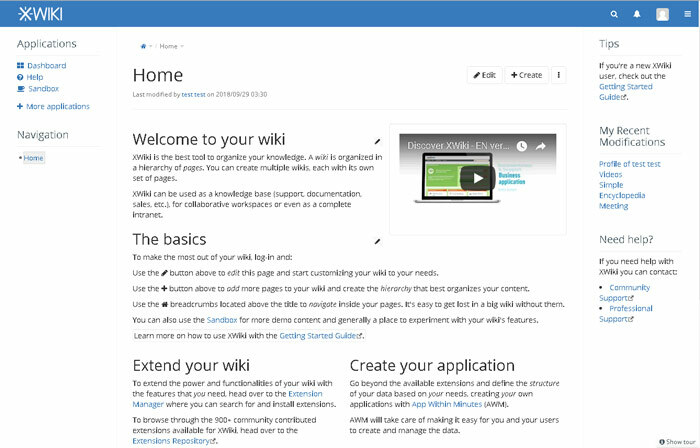 XWiki is a free and open source, Java-based advanced wiki software platform. It runs on servlet containers like JBoss, Tomcat, Jetty etc. It also uses a database such as MySQL or PostgreSQL to store its information. There are several methods of installing XWiki. In this tutorial, we are going to show you how to install XWiki using Debian (.DEB) packages, which is the recommended installation method for a production XWiki setup because all components needed by XWiki for a production instance will be automatically installed on your server. 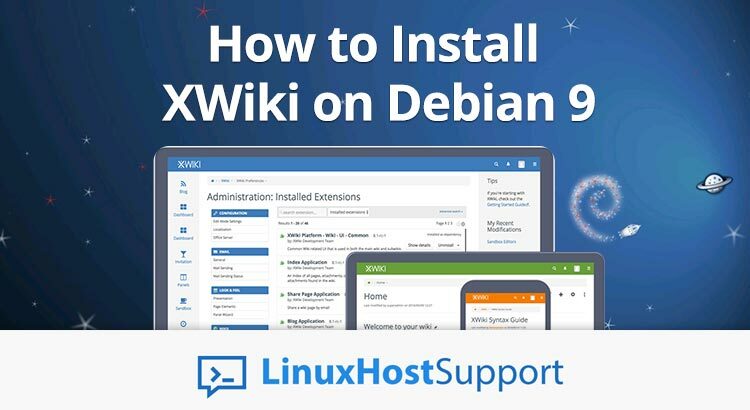 We will use a Debian 9 VPS but you should be able to install XWiki following this tutorial on all Debian based Linux distributions. By following this tutorial, you should have XWiki installed and running in no more than 10 minutes. You can choose which package you would like to install depending on your needs. In this tutorial, we will install XWiki with Tomcat 8 and MySQL as a database server. This will install XWiki, Tomcat 8, MySQL and all the required dependencies on your server. During the installation, you will also be prompted to enter a password for the MySQL ‘xwiki’ user. Once the installation is completed the Tomcat server will be automatically started. Congratulations! XWiki has been successfully installed on your Debian 9 Server. For more information, make sure you to check the XWiki official documentation. If you are using one of our premium server management services, you can simply ask our system admins to install XWiki on Debian 9 for you. They are available 24/7 and will take care of your request immediately. If you liked this post on how to install XWiki on Debian 9, please share it with your friends on social media networks. If you have any question regarding XWiki and its installation on Debian 9, please write a comment below and we will reply asap.